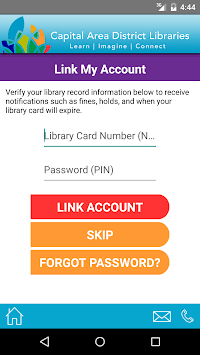 Capital Area District Libraries puts the library in your pocket. •	Search our catalog and place holds as soon as you hear that recommendation or spot your next read. •	Keep tabs on your account—renew your items and manage holds on the go. Stop typing your card number over and over! 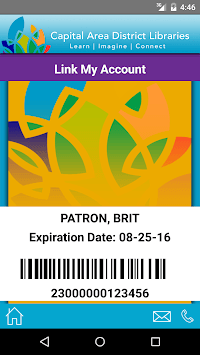 •	A digital library card, always as close as your phone. •	A special section for Kids & Parents—raise a reader! Serving the Ingham county communities of Lansing, Haslett, Okemos, Holt, Aurelius, Mason, Dansville, Williamston, Webberville, Stockbridge, and Leslie.